An avalanche in Loveland Pass, Colorado, has killed five back-country snowboarders with a sixth surviving, according to officials. The avalanche occurred between 13:00 and 14:00 local time, near a ski area, and blocked a highway. The bodies of the victims, who all had avalanche beacons, were recovered by search teams. 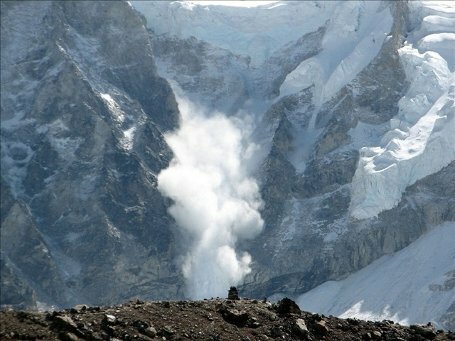 A local sheriff said the authorities believed the snowboarders had caused the avalanche themselves. The pass, at an elevation of 11,990 ft, is popular among back-country skiers and snowboarders, many of whom have been taking advantage of late season snowfall in the Rocky Mountains this weekend. Sheriff Don Krueger of Clear Creek County said the avalanche had occurred near the Loveland Ski Area, but outside its boundaries, the Denver Post reports. He said he believed everyone had been accounted for but could not be sure. Don Krueger added that the authorities were “pretty sure” the snowboarders had triggered the avalanche, which he said was about 600yds (600m) wide and 8ft deep. “The basic is that there was a group of about six back-country snowboards that came out today about two o’clock,” he said, adding that they had apparently triggered the snow slide. An eyewitness saw a fire engine and ambulances, one towing snowmobiles, heading towards the pass, and two search dogs in the area of the slide. The Colorado Department of Transportation said the avalanche had closed Highway 6 at Loveland Pass and could not estimate when the pass would reopen.